As someone who started martial arts as a way to get healthy and stay healthy, the community and emphasis on safe practice was a wonderful welcome at Suginami Aikikai. We are fortunate in the Bay Area to have so much Aikido to choose from, but that also makes that choice much harder. One thing I have learned from training at many different dojos and seminars is that there are many different styles of Aikido out there. Soft styles, hard styles, and everything between. What stood out for me about Suginami Aikikai was the spectrum of practice. Students are encouraged to train safe, with an emphasis on longevity of practice (as in being able to train when you're 80). But they are also encouraged to train at both ends of spectrum, both in class, and by visiting other dojos and attending seminars. I have been training at this dojo since 2001, and consider it a home away from home. The quality of Aikido is superb, and the community is infectious. I highly recommend this dojo to anyone interested in beginning, or continuing their practice in the martial arts. Before I joined suginami aikikai I paid a visit to every other dojo in the city - japantown, city aikido, and so on - and ended up going with suginami. Great location downtown - easy access with MUNI + sufficient parking. Great dojo - very spacious, clean. There are live-in students that actually call that place home and it definitely feels like much more than a gym. But most importantly, the instructors and people that practice at this place really make it feel like a place I love to go to. They are approachable, diverse, friendly, and fun. I've found many great new friends at suginami. If you think about starting to practice martial arts or looking for a place to continue your practice I strongly recommend you pay a visit to suginami and check it out. I'm sure you'll stay. I did. Best dojo in the City! I've been going here for 5 years now. There is good energy in the training and a great community of aikidoists. I've made some very good friends here. Also, Sensi Friedman hosts great seminars with some of the finest aikidoists around the globe. Highly recommended! If you are a fan of martial arts and want to practice aikido, this is the place to be. I've always wanted to try martial arts, but have always been intimidated to start somewhere. I immediately felt at ease at this dojo. Dojo is defined as a place to practice aikido. The main Sensai (teacher) has been practicing aikido(in the US and Japan) for over 25 years and has had his dojo for over 20 years. Jimmy Friedman was asked to teach his friends self defense after a good friend was killed. At the young age of 46, he is an amazing instructor and his dojo is the best place to practice in San Francisco. I highly recommend it if you want to practice a peaceful martial art, get fit and have fun while you're doing it! If you're wondering where in San Francisco you should train, look no further. 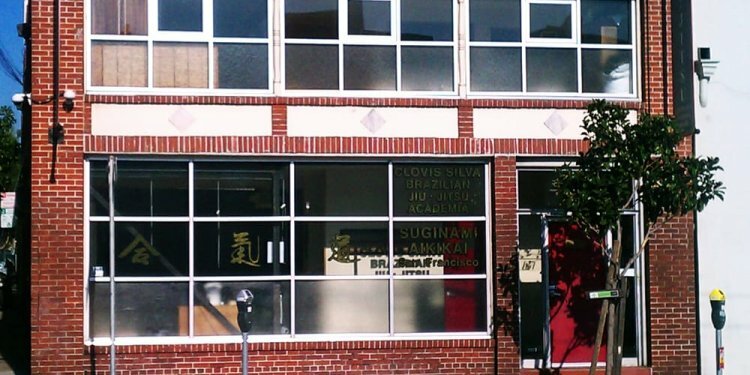 At Suginami you'll find fun, energetic classes, high-quality instruction, and a friendly, supportive community of fellow students. I could not recommend it any more strongly.